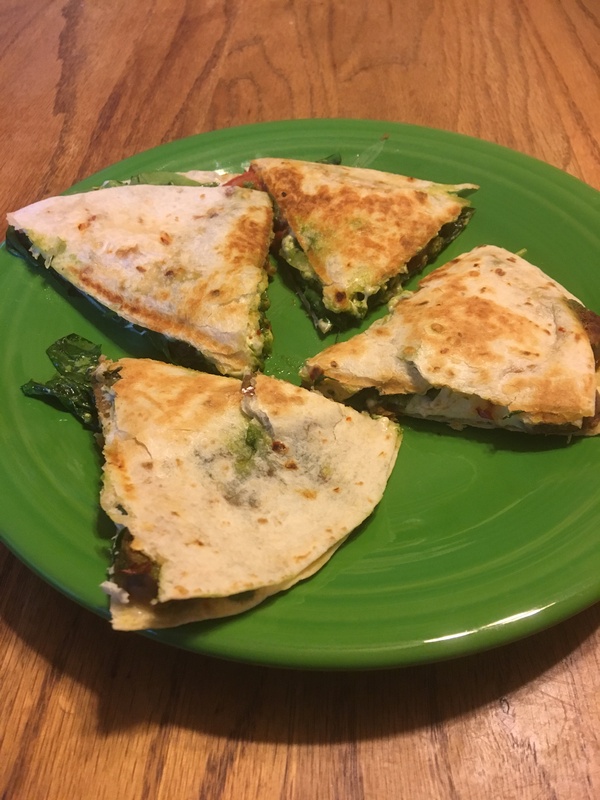 I know I’ve said before that quesadillas are one of my favorite meals to make, and that still holds true. 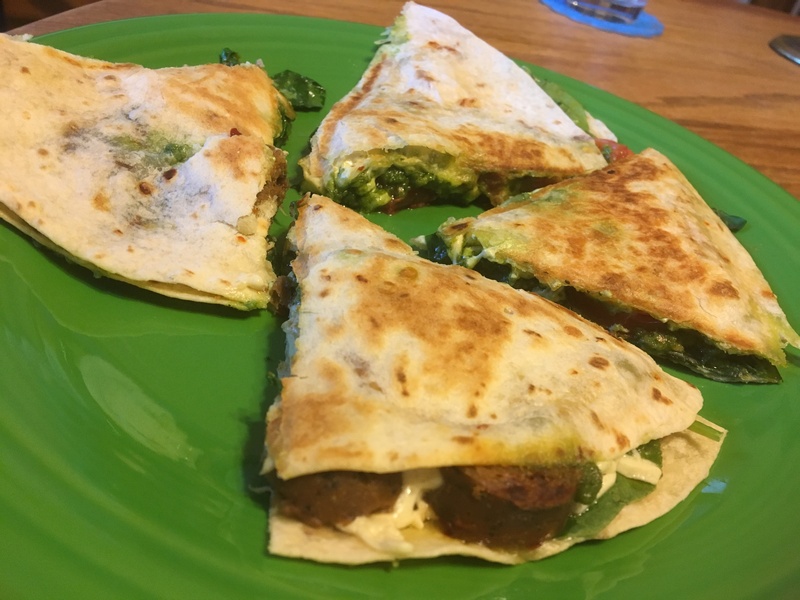 For these it was simply layers of cheese, spinach, tomatoes, and Tofurkey Italian sausage. 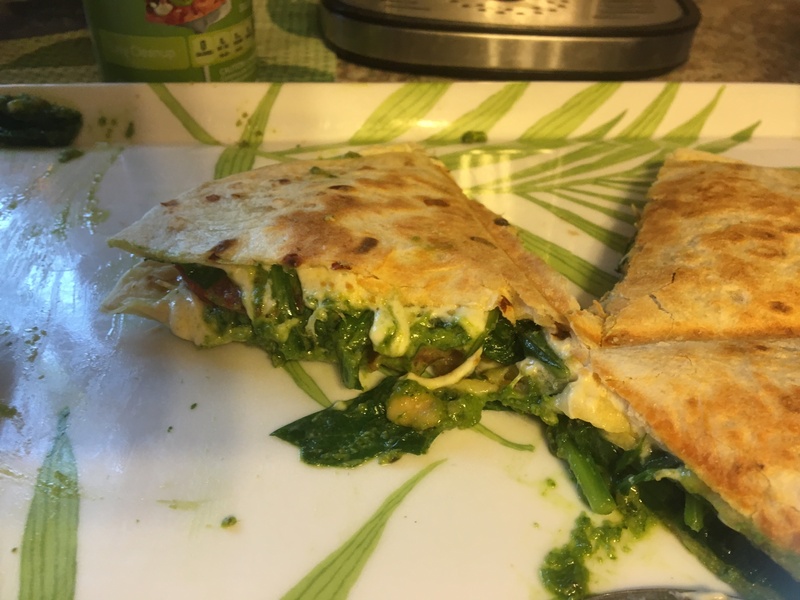 Then I made some pesto, you can use whatever recipe you like (mine was a combo of cashews, pine nuts, and basil), apply that on just one side of the quesadilla when assembling, and enjoy! (And I used a quesadilla maker to make them just perfect).